Just Mulch is proud to offer mulch delivery services that are specifically designed to provide homeowners living anywhere from Vancouver to Chilliwack with easy access to high-quality bark mulch products. We Providing environmentally friendly and reliable products from Vancouver to Chilliwack. 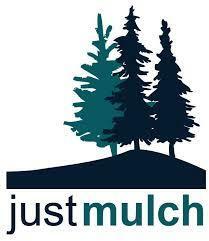 At Just Mulch, our prime goal is to provide homeowners with the clean, easy delivery of mulch for the beautification of yards. That is why all of our products and services are specialized to suit the need of the average homeowner, no matter how big or small the landscaping project. We also take pride in recycling wood products in favour of creating beautiful landscapes. Our Mulch and garden soil products are all natural, organic products that do not contain any dyes or chemicals. That is why all of our natural bulk mulch products are designed to provide your garden with as many nutrients as possible, without the use of artificial additives. Our company also takes pride in being environmentally friendly by planting a tree with Tree Canada for every one-yard bag of mulch we sell.